$1 million dollars a year a lucky renter could be the first to live in this 9,000 square foot, five story ultra-minimalist townhouse in New York City that can be controlled by an iPad! Mac Miller Speaks On Debuting #1 On The Billboard Charts! Live from a tour bus in Austin, TX Mac Miller chops it up via Skype with Sway for MTV’s RapFix about debuting #1 on the Billboard charts. And being the first independent hip hop artist to do so since Tha Dogg Pound in ‘95. And despite not reaching the 50k pre-order mark, Mac says he’s still donating $50k to the Make-A-Wish Foundation. Erykah Badu Performs “Apple Tree” @ Black Girls Rock Event! ‘Black Girls Rock’ 2011 Awards, taped Oct. 15 in NYC, proved performances can make an award show. This year’s Black Girls Rock introduced us to newbie songstress Elle Varner and took us down memory lane with a few legends such as Mary J. Blige and Erykah Badu. With a roster that also included Jill Scott, Estelle, Melanie Fiona, Shirley Caesar and Mary Mary there were a few moments that set the bar for next year’s show. 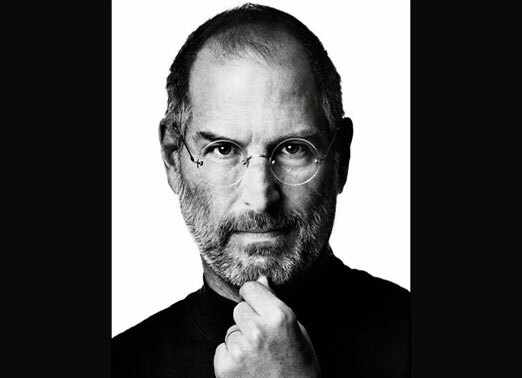 Apple co-founder and former CEO Steve Jobs, has reportedly died at the age of 56. While the story is still developing, major outlets such as CNN, AP, and others have confirmed the death. Apple is said to have released an official press release confirming the death. Mac Miller Freestyle On The Cosmic Kev Come Up Show! Apple – iPhone 4S – The most amazing iPhone yet.